Having been to most incarnations of CAMRA's National Winter Ales Festival in Manchester over the last fifteen years, from the first one at Upper Campfield Market in Castlefield in 1999 to the ones at the East Germany circa 1960 New Century Hall, I was looking forward to the Manchester Beer and Cider Festival at Manchester Velodrome, the replacement post-Christmas drinking get together now the NWAF has moved to Derby. The first thing to say is how impressive a venue the Velodrome is. I've seen it before on TV but that doesn't give you any idea of how high and steep the track really is. I reckon I'd struggle to get round one lap of it, never mind the dozens the professionals do. I know some disabled drinkers had problems accessing the bar area in the middle of the track but as far as I could see the volunteer stewards did everything they could to work round that, taking people down to it by lift and putting extra seating there, and one plus of the Velodrome is that trams stop pretty much outside the front door. I went to the first session on Wednesday afternoon and the last one on Saturday. The stand out beers for me on the first day were the cask version of Fuller's 1845 Strong Ale and the dangerously drinkable 6.5% Elland 1872 Porter, interspersed with a few halves of Robinson's Old Tom. Unsurprisingly they had all run out by the last session, as did the rest of the beer by about three o'clock, something reflected in free admission for CAMRA members and a reduced entry price of £1 for non-members. Like most people we headed back into town on the tram and went to a pub in the Northern Quarter, the beer shortage at the Velodrome providing a windfall for a number of city centre hostelries. 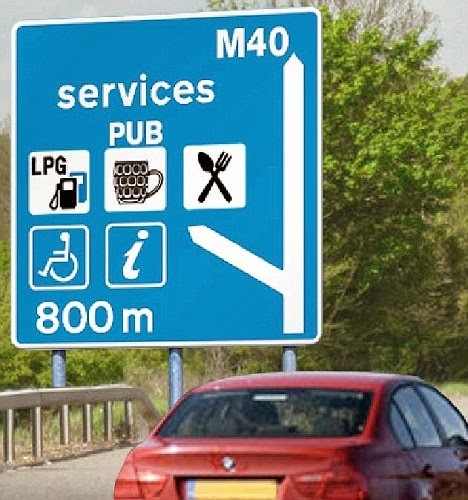 The decision by Wetherspoon's to open a pub at a motorway service station has led to predictable protests from road safety charities and health professionals who predict that hordes of tanked up drivers will now be wreaking havoc on the highways. Even if it may be unwise to drink and drive, it is not currently illegal to do so as long as you stick to the limits. There is nothing to stop drivers at the moment turning off the motorway and going in a pub and of course many people at service stations (passengers in cars, coach parties) are not drivers at all. 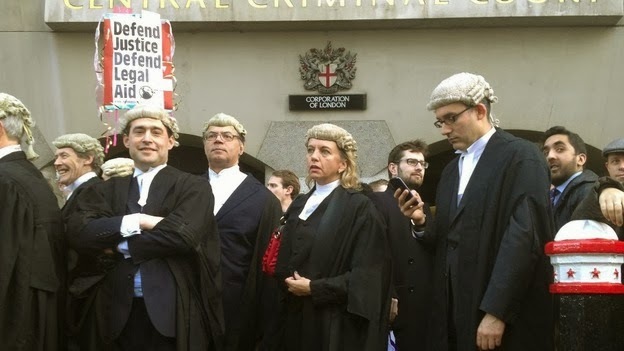 Today's walk out by barristers over the Government's proposals to cut the amount of legal aid available in complex criminal cases has produced predictable responses. To be honest, I've no idea whether barristers are hideously underpaid as they claim or outrageously overpaid as the Ministry of Justice contends. Probably somewhere in the middle I'd guess. My only real experience of the legal aid system is from when I worked as an employment adviser in a law centre in one of the most impoverished parts of South Manchester and saw how the cuts to it by the then Labour government reduced access to advice and representation on housing and benefits (the centre has now closed as a result of cuts in local government). One thing that did strike me about some of the comments from barristers on the picket line is how high their concept of "low pay" is. One of them asked "Would you be happy to be represented in court by someone only earning £35,000?" and another claimed that such pay levels would deter young people from entering the profession. The walk out also reminded me of the episode of Rumpole of the Bailey where the head of chambers Guthrie Featherstone QC MP played by Peter Bowles leads a strike of judges and arriving home early is met by his appalled wife who asks him if he now intends to go down the working men's club in a flat cap and order a pint of wallop.